This chapter describes steps to program LimeSDR-PCIe board. If you already have valid programming *.jic file skip to 5.1 Obtaining programming files and proceed to 5.2 Board programming procedure. 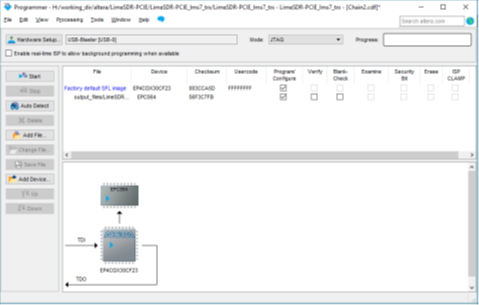 FPGA gateware programming file can be obtained by compiling provided LimeSDR-PCIE_lms7_trx project with Intel Quartus Prime software. Software version used with this guide: Quartus prime 15.1.2 Build 193 02/01/2016 SJ Lite Edition. Quartus Prime Lite Edition software can be downloaded from [here]. 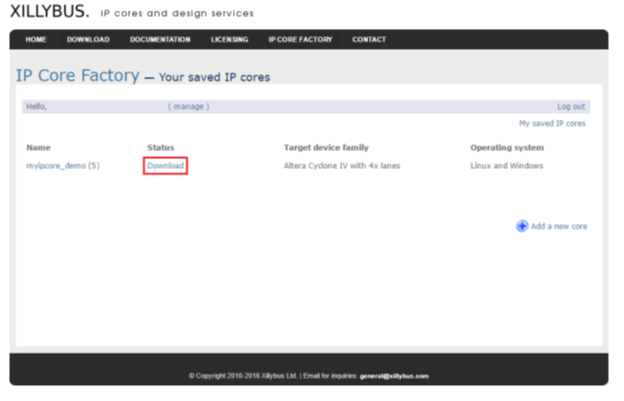 PCIe Xillybus core has to be generated and downloaded in order to compile LimeSDR-PCIE_lms7_trx FPGA project. This chapter describes steps and parameters required to generate Xillybus PCIe core. 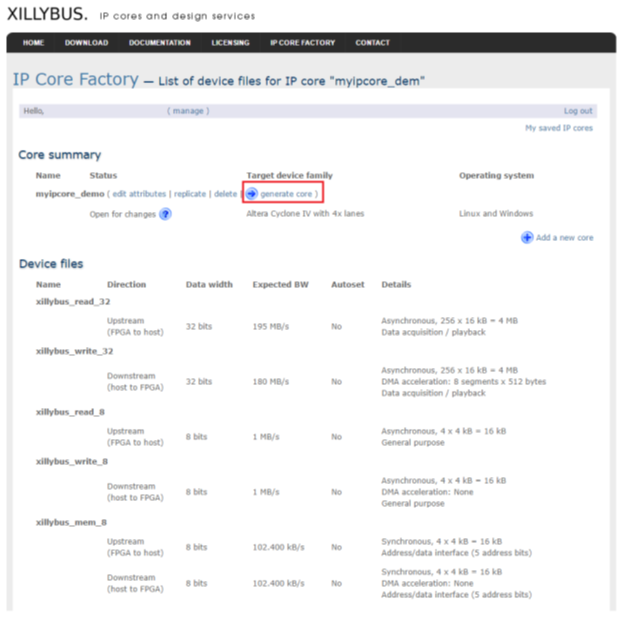 Xillybus requires to fill up free registration form in order to download generated core. 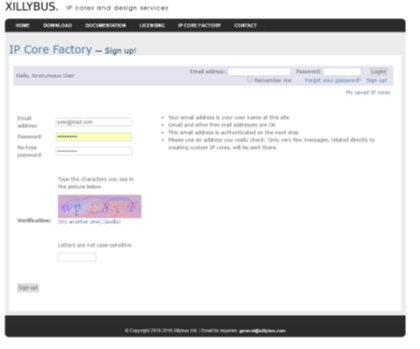 Go to [link], fill required fields (Figure 1) and confirm registration via received eMail. 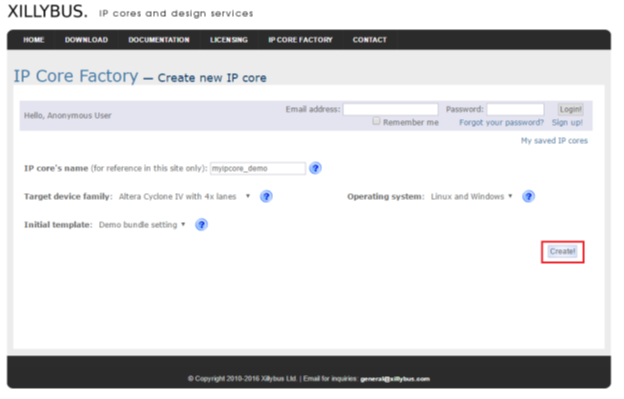 After successful registration, go to IP core Factory page [link] fill parameters as shown in Figure 2 and click Create!. 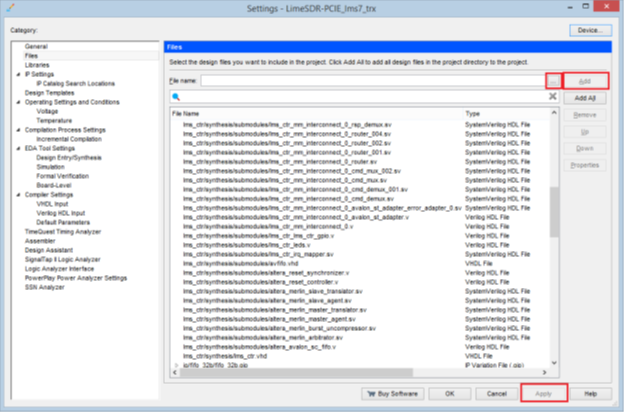 After new core creation in next dialog click Edit to change settings for each device files (Figure 3). 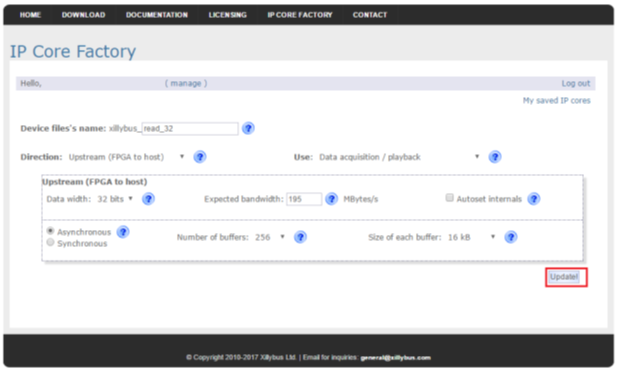 After updating all files click generate core (Figure 5). 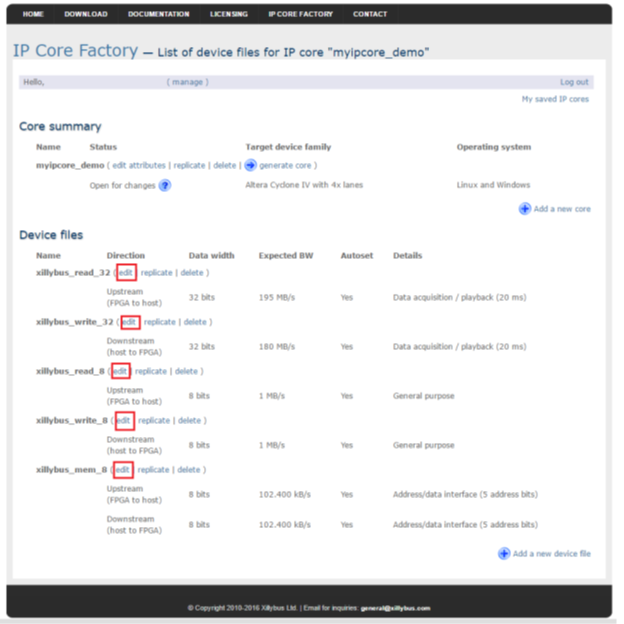 Check core status and download it when available (Figure 6). Extract downloaded .zip file “corebundle-myipcore_demo.zip” (myipcore_demo – name that was entered during core generation). Open Quartus LimeSDR-PCIE_lms7_trx project and select Project→ Add/Remove Files in Project.. and add files xillybus.v and xillybus_core.qxp to Quartus project (Figure 7). Recompile project Processing → Start Compilation. 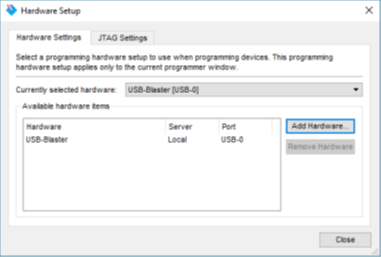 .jic - JTAG Indirect Configuration File can be used to program FPGA gateware to FLASH memory (if valid file is loaded FPGA boots from FLASH when board power is applied automatically). For the first time use board has to be programmed using JTAG header J11. This procedure requires two computers (LimeSDR-PCIe board inserted into PCIe slot on computer #1 and Quartus Prime software running on computer #2). Insert LimeSDR-PCIe board into computer #1. Make sure that computer is turned off while inserting board. Connect one end of download cable (e.g Altera USB Blaster) to LimeSDR-PCIe board J11 connector and other end to USB port on the computer #2 running Quartus Prime software. Turn on computer #1 and interrupt the boot sequence to bring up the BIOS System Setup interface. Click Hardware Setup.. button and select your download cable, click Close (see Figure 9). a. Pre compiled bitstream can be found in gateware/LimeSDR-PCIE_lms7_trx_bs b. If you have followed project compilation instructions and generated your own bitstream then your file is located in project directory /output_files. Apply settings as in Figure 10 and click Start. After successful programming turn off computer #1. FPGA boots from programmed FLASH memory automatically when computer #1 is turned on.